The Lagos State has commenced the biometric registration of residents in the state as part of its initiatives to effectively plan for the required infrastructure to meet the needs of the people. 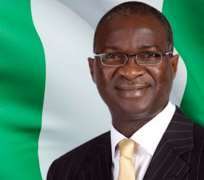 Governor Babatunde Fashola disclosed this on Thursday at the inauguration of the registration exercise spearheaded by the Lagos State Resident Registration Agency (LASRRA). Fashola stated that henceforth every resident would be identified by a unique identification (ID) number to be generated from a biometric data capture. The ID number, according to him, will be unique to every individual as long as he or she remains a resident of the state.